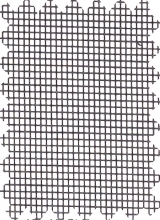 Insect screen standard 18 x 14 mesh 108 inches wide & 100 feet long. 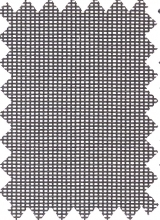 This fiberglass screen has a specially formulated vinyl-coating. Solar Screen no-see-um 20x30 mesh 84 inches wide & 100 feet long. 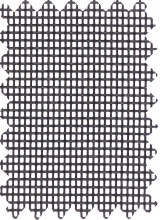 Pet Screen 7 times tougher than any other screen materials 48 inches wide & 100 feet long.